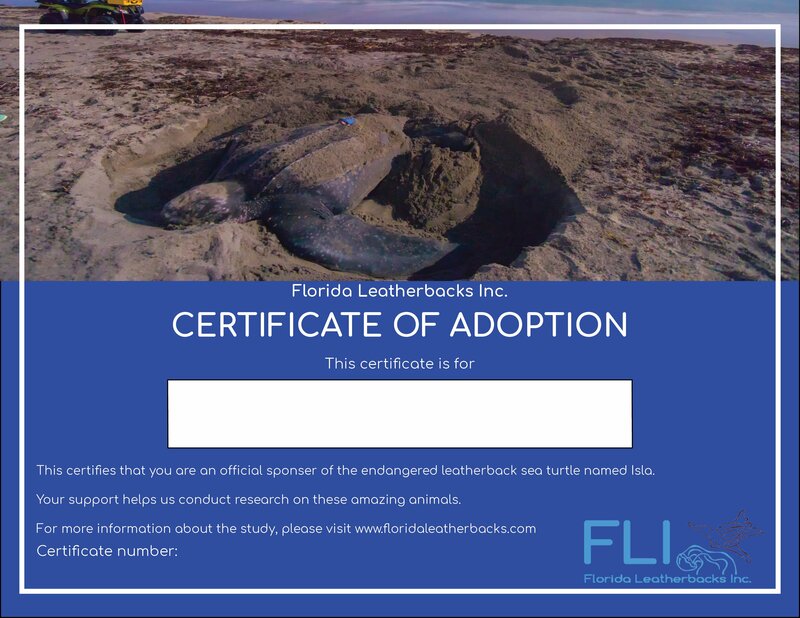 Support our tracking study by purchasing a leatherback sea turtle adoption today. All funds from our sea turtle adoptions program directly support our leatherback tracking studies. Funds are used to allow us to purchase satellite tags, and data processing tools that allow us to document the migratory movements of Florida’s endangered leatherback sea turtles. Regular updates on Isla’s travels with maps and analysis of her movements. 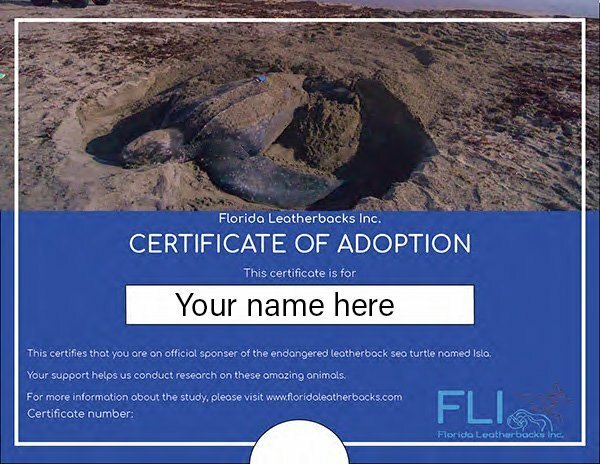 Support our tracking study by purchasing a leatherback sea turtle adoption today. All funds from our sea turtle adoption program directly support our leatherback tracking studies. 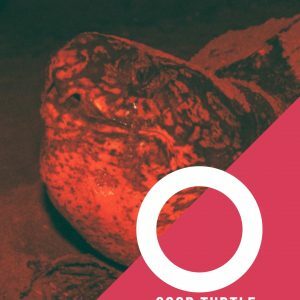 Funds are used solely to purchase satellite tags and data processing tools that allow us to document the migratory movements of Florida’s endangered leatherback sea turtles. Regular updates on Isla’s travels with maps and analysis of her movements.You may chose to print the adoption certificate yourself or forward the certificate to a gift recipient. Please note: We are unable to guarantee the length of time that Isla may be transmitting. The battery capacity of the transmitter she is carrying allows Isla to send data for several years, but there are many factors which may limit the transmission of data. If you would like more information, please ask us!